Motorcycle Checks Celebrate Your Love Of Choppers. The open road awaits you as you imagine yourself in your leather jacket riding your Harley-Davidson Motorcycle and roaring down the street, wind blowing through your hair and wheels racing leaving nothing but a dust trail, as you experience true freedom. Now it's easy to celebrate your love for motorcycle riding every time you write out a check. One of the most exhilarating chopper designs in our motorcycle checks is our Harley-Davidson Live The Legend. Showcasing the famous brand of Harley-Davidson with premium quality check-printing, these Harley Davidson personal checks are sure to thrill you. Love the styling of the Harley-Davidson logo? Then don't miss our Harley-Davidson checks featuring four unique Harleys in the center of each eye-catching design. It's truly a tribute to freedom on the road. Did you know that with our Harley checks you save up to 70% off standard bank check prices when you order checks online from Value Checks? We've made it so easy for customers like you to order, you're sure to be thrilled with these artistic checks that capture your devotion to the bikers' lifestyle. Plus you can write checks with confidence knowing that all our personal checks including motorcycle designs offer superior security standards and are accepted at all financial institutions. 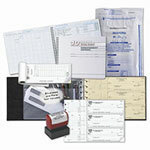 You'll only find these amazing designs at Value Checks so don't wait to show you are ready to rev up with every check you write. Shop today! In addition to cheap prices on checks, we also have cheap prices on Harley Davidson Address Labels and Harley Davidson Checkbook Covers.